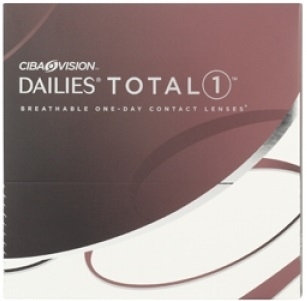 With Dailies TOTAL 1, Alcon (Ciba Vision) created a true water gradient contact lens offering all-day comfort with the convenience of a daily disposable lens. These lenses have been designed specifically to maximize comfort by more than doubling the water content from core to surface. Dailies TOTAL 1 contact lenses were designed with a surface of over 80% water content, nearly the same as the surface of your eye, for a feeling of exceptional comfort until the end of your day.